Marilee Squires, assistant registering officer at the Elections and Boundaries San Pedro Town sub office remains on suspension with 50% salary pending the outcome of an investigation. This follows public and political uproar after Severo Guerrero Jr., United Democratic Party Town Council Councilor Candidate was caught on camera behind the desk belonging to Ms Squires. Photographs show Guerrero perusing official documents on the office computer, far beyond normal working hours. The incident came at a time when the sub-office was faced with the heavy work load of verifying information regarding 361 new registered voters before the February 2nd deadline. Both the Chief Elections Officer Josephine Tamai and the Minister responsible for the Elections and Boundaries Department, Honorable John Saldivar have gone on record to say that the incident is "regrettable". Guerrero's presence at the Elections and Boundaries office, and his use of the department’s computer were unduly authorized by Squires. "He (Guerrero) had no business being in that office, and the officer (Marilee Squires) that had him in there has certainly exercised a great indiscretion which will be dealt with internally. A submission was made to the Public Service Commission for her suspension until an investigation is completed. Currently she is on suspension until an investigation is carried out with a 50% salary for an initial period of 60 days," explained Tamai. In regards to justifying the reason for Guerrero's presence behind Squires' computer with what appeared to be excel spread sheets, notebook and pen in hand, this is still uncertain and is pending a detailed report from Squires. When Guerrero, who is a dentist, was questioned last week by The SPSUN, he stated that Squires had asked him to help her with a computer problem. Tamai further stated that regardless of the revealing photographs of Guerrero's presence behind the computer "[…] in no way was anything compromised (including documents) at the office." Despite the public and political outrage, there has been no official statement from the UDP Committee in San Pedro. And, while Squires remains suspended, the San Pedro sub-office, like other offices countrywide, is tasked with meeting a crunching deadline to verify the information for 361 new registered voters in San Pedro. The date for publication for the supplementary list for the period running from the 11th of December 2011 to 20th of January 2012 was Wednesday, January 25th. In an interview with The Sun, Tamai said that following the publication of the supplementary list, interested parties have five days, up to January 30th for submission of any objection to the names published on the list. Any interested parties (any registered voter in the particular area/party official/candidate) can object to a new registration. 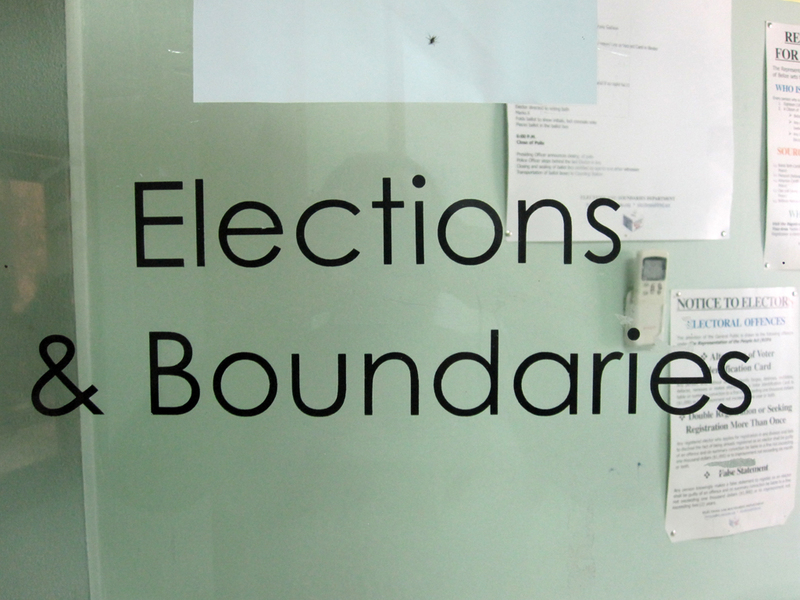 One of the common grounds for objection is providing the Elections and Boundaries Department with wrong information included but not limited to address. Objections must be made in writing to the Elections and Boundaries Department. Should an objection be launched and the accused found guilty, the person can be fined with a fee of $500 to $2000 or sentenced to six months imprisonment or can be both fined and confined. Where there is an objection, Tamai stated that the names will be "Gazetted", published in a newspaper and heard in court by February 2nd. After the February 2nd deadline for court hearing of any objection, the official voters list will be distributed to all political organs and available to all aspiring candidates.